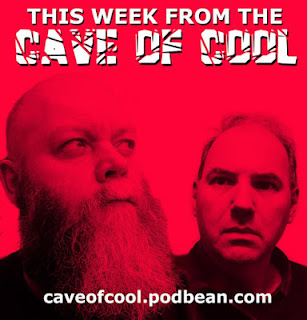 Episode 13 in which our heroes, Cal and MD, talk about KENDALL JENNER and how she is not as popular as a picture of an egg. MD talks about the DC NETWORK'S TITANS series, JOHN WICK PART THREE, and Cal outlines why he will not be watching AVATAR 2 & 3 and why JAMES CAMERON is not so hot as everyone thinks. Cal and MD also talk at length about DUNE, the novel and the various adaptations, particularly the upcoming film version directed by DENIS VILLENEUVE. They also talk about the trailer for the next SPIDER-MAN movie and how much they are looking forward to the premiere of the CAPTAIN MARVEL movie. Finally, Cal admits that no matter how hard he tries, he can't see everything. Hey Cal, did you see that news item recently about the Avatar "super fan" (I think from Alberta) whose entire body is one big Avatar tattoo (he's very blue) and his truck is covered with Avatar imagery as well? I didn't I need to look that up so I can make fun of another dumbass.